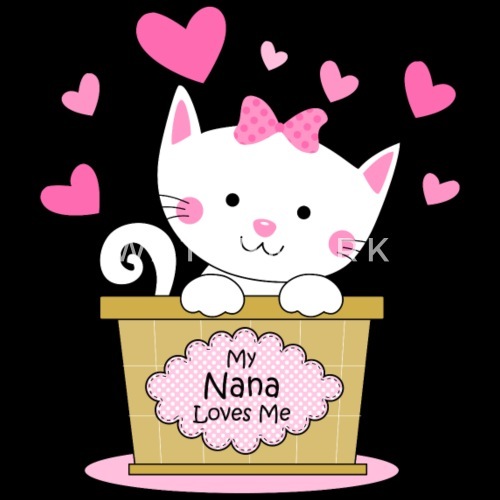 Cute gift from grandma with an adorable kitty cat in a basket wearing a bow and pink hearts says MY NANA LOVES ME. 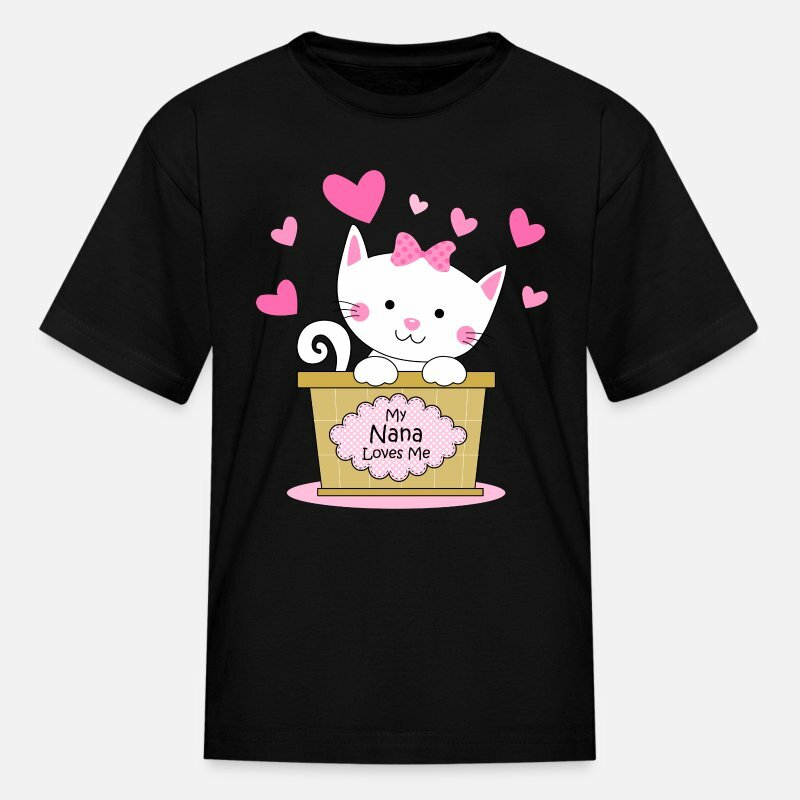 For kids who love kittens on Valentine's Day or any day. PinkInkArt original!